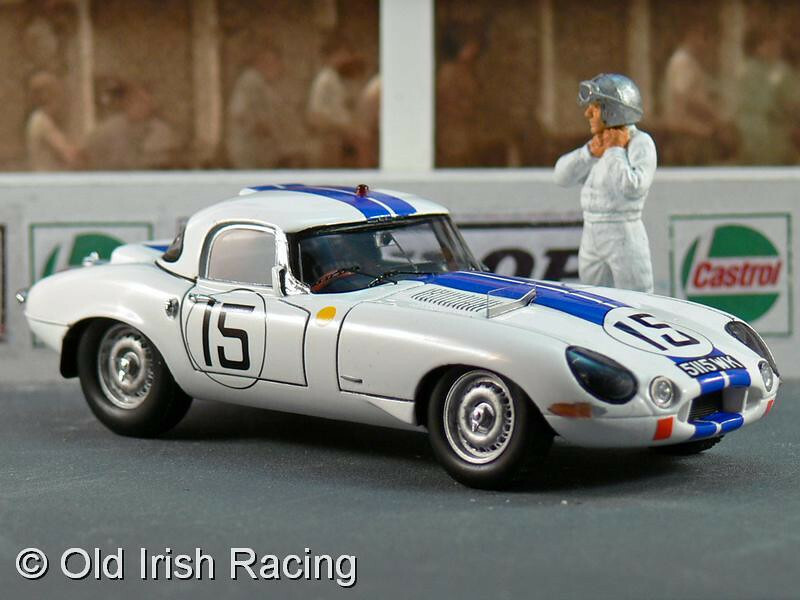 1963 E-Type Lightweight: The race in 1963 was Cunningham's last run at Le Mans as a driver and as an entrant. Cunningham and Bob Grossman were as high as 7th place in this car before a crash at the end of the Mulsanne straight and subsequent repairs dropped them to a 9th place finish. Model by SPARK 1/43. Credit: http://www.oldirish.com/collection/models3.html.